COREgravel is a fantastic system for driveways. Honeycomb trays stabilise the loose gravel so that it does not rut or sink.  Creative gardens and Driveways use COREgravel on a wide variety of properties and utilise different types of edging and paving to create long lasting and attractive driveways. COREgravel has many benefits over standard gravel driveways. Block paving is still a popular and practical driveway surface. A lot of people are put off block paving because they see driveways that have been installed for a while that look tatty and may have sunk in places. Creative Gardens and Driveways don’t lay block paved driveways that sink!